The World War One soldiers of Waterloo County are on the move! 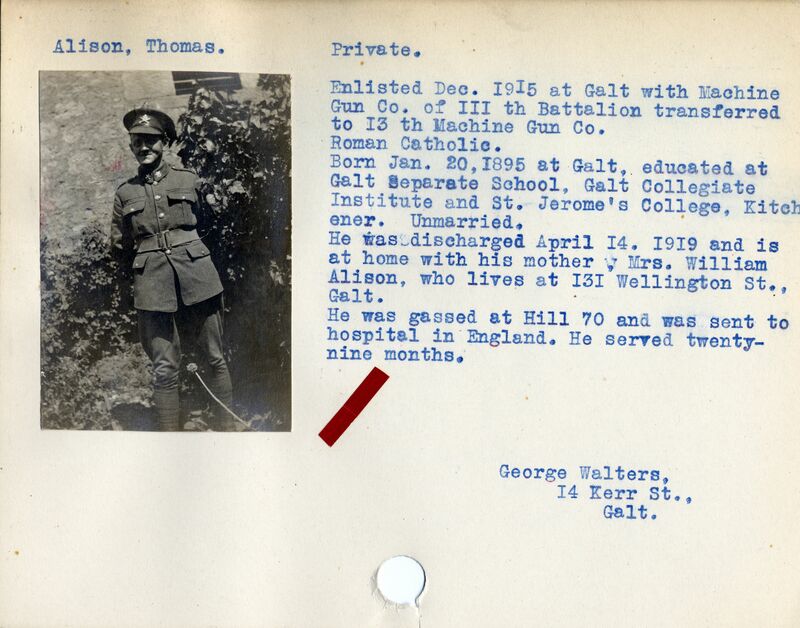 In preparation for the start of the Soldier Information Card (SIC) Project, we’ve been sending our World War One Soldier Information Cards off-site to be digitized. If you are planning to come down to the Grace Schmidt Room to have a look at a World War One Soldier Information Card, please contact me in advance of your planned visit and I can let you know if your soldier is in the building or offsite. Stay tuned for more information on this project. Volunteers are welcome!